Unilateral hearing loss appertains to normal hearing in one ear and hearing loss in the other, which may be anything between mild to profound hearing loss. Ordinarily, the ear with hearing loss has sensorineural hearing loss which cannot be cured; however, there are a number of things you can do to reduce the difficulties of your child. One of the major challenges is sound localisation. Sound localisation is the ability to tell the direction of sound. It is pretty much like loss of depth perception due to loss of vision in one eye. Everything may seem fine with your child and It may not appear to be a challenge in a quiet environment, but he will find it difficult to hear well when a group of people talks at the same time. He will also have a hard time listening and understanding someone speaking from at distance e.g across a hall or room. Ordinarily, hearing aids are of limited assistance in noisy environments. 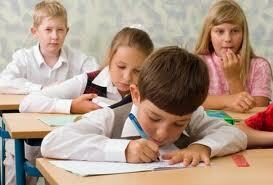 Cognitive load is another challenge for a child with unilateral hearing loss. Understanding speech in a cacophonic environment is difficult even for people with a perfect hearing ability. This becomes even more challenging for a child hearing with only one ear. He will find it a herculean task to understand what the teacher is saying and taking notes at the same time, which other kids are able to do that with utmost ease. Can Technology be of any Help? Hearing aids can be assistive only if there is still some hearing left in the ear with worse hearing. 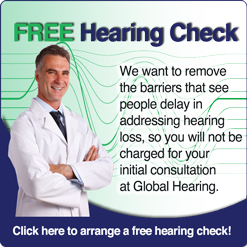 You should consult an audiologist who will perform tests to find out if a hearing aid can be of any assistance . If a hearing aid is not of much assistance, there are other options available as well such as- personal FM systems, CROS hearing aid and soundfield system.